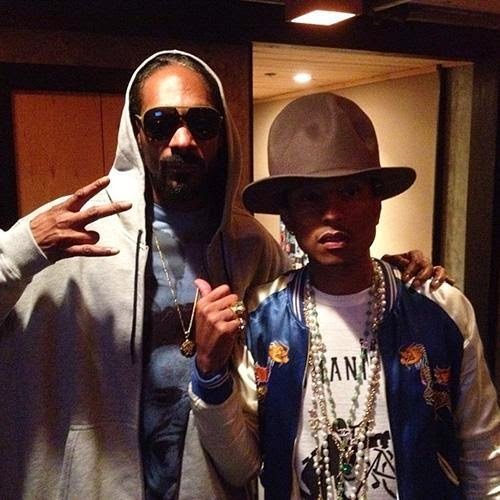 Snoop Dogg’s upcoming solo album will be entirely produced by Pharrell Williams. While holding down his hosting duties at this year’s BET Hip-Hop Awards, Snoop shared that the two are working on a feel-good record that is unlike their other collaborations, which include the hits “Beautiful” and “Drop It Like It’s Hot”. Pharrell also praised the work he was doing with Snoop earlier this summer in an interview on the Big Boy’s Neighborhood radio show. “It’s Snoop Dogg. You’re gonna bug out from the approach of what we did. We’re almost done. The songs are done. Now I’m just adding the finishing touches.